Dr. Timothy Riley, assistant professor and associate vice chair for wellness in the Department of Family and Community Medicine at Penn State Health, said when we focus on what is happening right now, we notice things we might otherwise miss. “Being aware of physical sensations, thoughts and emotions — both pleasant and unpleasant — can help us choose how to respond, rather than simply react,” he said. Our genetic makeup, environment, how we were raised and the situations in which we find ourselves all influence how we approach life. Sometimes, our automatic reactions are spot on. In other cases, they are not the best course of action. The separation can help you make a decision about whether choosing the cookie is wise and what you really want right now. Thousands of studies have been done on how mindfulness and related interventions can help reduce stress and common chronic health problems, such as anxiety, depression, pain and high blood pressure. Mindfulness has also been shown to enhance activity in the prefrontal cortex — the part of the brain that helps tame our inner toddler who wants to scream, yell, cry, hit or throw a fit. With the support of his department, Riley completed training to offer an eight-week course for Penn State Health employees and the public beginning in January. He will be teaching with Holly Socolow, who has been teaching mindfulness in the Hershey area for several years. The course will meet for three hours on Monday evenings at the University Fitness Center and culminates with a silent retreat. Students pay $500 for 30 hours of teacher contact and commit to meditating 45-60 minutes each day during the course. Riley said they won’t turn away those who are committed to the program but who may not be able to pay the full amount. 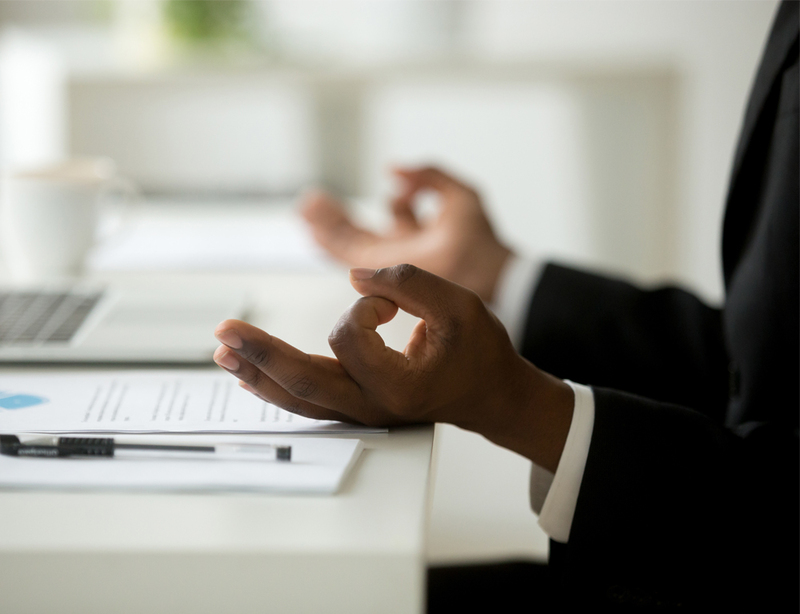 Employees who attend at least six of the eight classes and attend the silent retreat can get half of the cost reimbursed by Human Resources. For details or to register, send an email to mindfulness@pennstatehalth.psu.edu before Jan. 7.